Cut coordinating fabric into 18″ strips. Wrap first fabric strip at the base of the hoop, no gluing required, just keep wrapping. 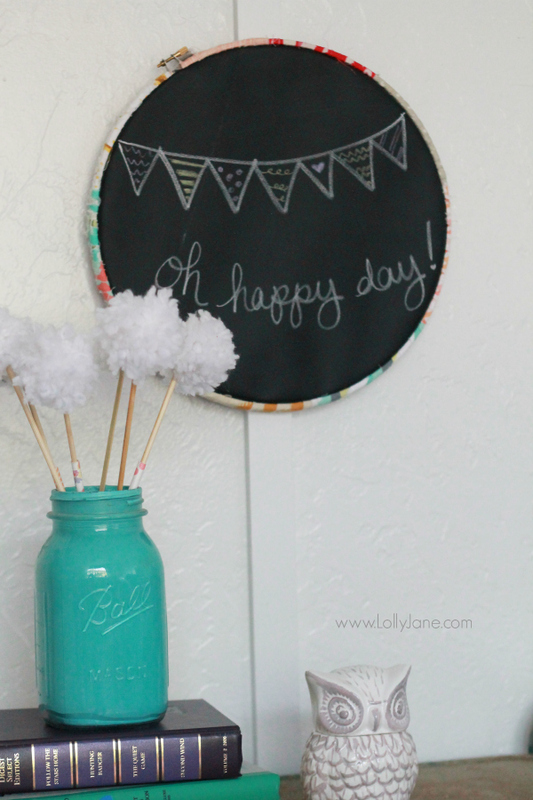 Cut chalkboard vinyl to size. Place vinyl inside hoop, tighten. Chalk it up, get creative! That’s all there is to it! We love it hanging in Kelli’s craft room above her vintage cart, but it’d look great mixed in with her embroidery hoop wall too! 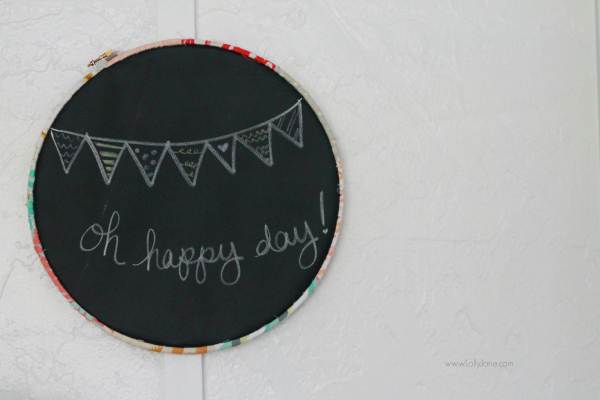 If you love hoops, also check out our embroidery hoop spheres! Please visit our all of our DIY posts here on Creative Home then head over to our blog, Facebook, Pinterest or Insta to keep up with our latest and greatest!